Melon beads come in a variety of sizes and diameters. These are typical of the small melons that have a 5mm hole which makes them ideal for a variety of applications including fittings on larger leather thongs. 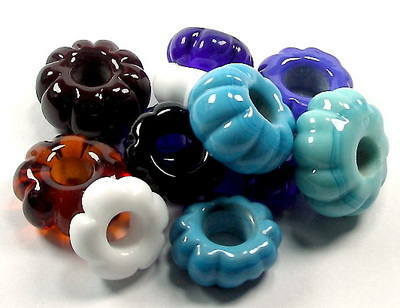 These glass reproduction beads can vary in diameter from around 12 - 15mm, if you have a particular requirement, please let us know.